Many of us have heard of DHA, which is a common supplement added to formula and other baby nutrition items. And although many of us associate DHA with babies' health, a 2017 study is questioning whether or not the supplement can help premature babies. DHA, which actually is a long-chain fatty acid called docosahexaenoic acid, has long been associated with boosting health for babies, especially in the brain. DHA is present in breast milk, for example, so it's been considered to be especially important for babies as they develop. Studies, however, have been mixed about how helpful the fatty acid actually is and if all infants should receive DHA, even if they are aren't drinking breast milk. Some studies have suggested that babies who drink formula with DHA have fewer respiratory and skin allergies. They also have been linked to reducing asthma and wheezing in children whose mothers have allergies, along with having fewer respiratory illnesses altogether. Another study found that fatty acid supplementation was linked to less bronchitis, bronchiolitis, nasal congestion, and diarrhea that needed medical intervention. All in all, DHA has gotten a reputation for being pretty darn helpful. Is DHA Helpful for Premature Babies? Because of its association with respiratory health, doctors have wondered if giving DHA supplements to premature infants could help reduce their rates of bronchopulmonary dysplasia. 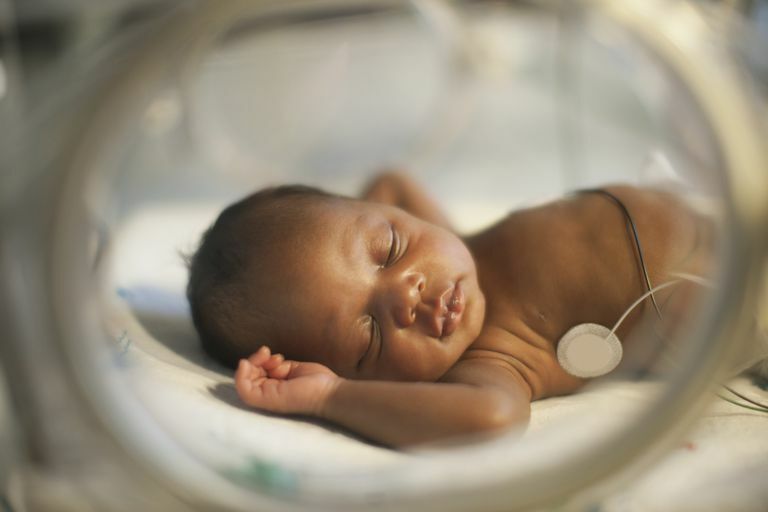 One of the main medical complications that can occur with premature infants is respiratory problems, or lung problems, since preemie babies usually have underdeveloped lungs. Bronchopulmonary dysplasia (BPD) is a lung disease that can affect premature babies who need help with breathing after birth. BPD can lead to lung scarring and interfere with the way that air is exchanged in the lungs, which can lead to problems with breathing and other health complications throughout life, including congestive heart failure. And while it would be nice if DHA supplementation could prevent BPD in premature babies, a 2017 study in the New England Journal of Medicine has shown that DHA may not be as helpful as previously thought for reducing the risk of the lung disorder. The study looked at 1,273 infants, all born before 29 weeks of pregnancy, and examined the effects of giving 60 mg/kilogram DHA supplementation as compared to babies who did not receive the DHA. The supplementation was given until the babies reached their adjusted ages of 36 weeks, right before they would be considered "term" infants or until they were discharged to go home. A total of 592 infants ended up being randomly assigned to the DHA group and out of those, 291 or 49.1 percent of them were diagnosed with BPD. On the flip side, out of the 613 infants who were in the control group and did not receive DHA supplementation, 269 or 43.9 percent of them, had BDP. So from that data, more babies were actually diagnosed with clinical BPD in the DHA group then the non-DHA group. These findings led the researchers to conclude that DHA supplementation was not only not helpful in preventing DHA, but that it actually may have been linked to the cases of BPD. There were significantly more infants in the DHA group that had BPD, so the association can not be ruled out. Enteral DHA supplementation at a dose of 60 mg per kilogram per day did not result in a lower risk of physiological bronchopulmonary dysplasia than a control emulsion among preterm infants born before 29 weeks of gestation and may have resulted in a greater risk. So what does all of this mean? It means that if you are the parent of a premature infant or are expecting a baby who might be spending time in the NICU, you can be aware of the latest research about DHA supplementation for premature babies. If your baby is born prematurely, he or she is at risk for the lung disease BPD, which can cause breathing problems and other long-term complications. Doctors have considered that DHA supplementation might help reduce the risk of premature babies getting BPD, but research suggests that DHA supplementation will not reduce the risk of BPD. If you have a baby in the NICU or are at risk for preterm labor, talk with your doctor about other ways you can help minimize your baby's risk of BPD, such as pumping breast milk, instead. Collins, C. et al. (2017, March 30). Docosahexaenoic acid and bronchopulmonary dysplasia in preterm infants. New England Journal of Medicine, 376:1245-1255. Retrieved from http://www.nejm.org/doi/full/10.1056/NEJMoa1611942. Foiles, A., Kerling, E., Wick, J., Scalabrin, D., Colombo, J., and S. Carlson. Formula with long-chain polyunsaturated fatty acids reduces incidence of allergy in early childhood. Pediatric Allergy and Immunology. 2016. 27(2):156-61. Kent, G. Regulating fatty acids in infant formula: critical assessment of U.S. policies and practices. International Breastfeeding Journal. 2014. 9(1):2. Lapillone, A., Pastor, N., Zhuang, W., and D. Scalabrin. Infants fed formula with added long chain polyunsaturated fatty acids have reduced incidence of respiratory illnesses and diarrhea during the first year of life. BMC Pediatrics. 2014. 14:168. Could an Artificial Womb Help Save More Premature Babies?